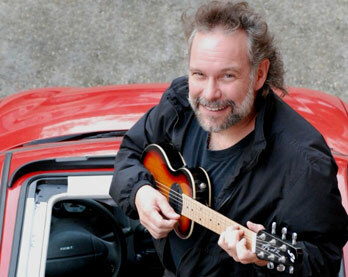 John Gorka is a world-renowned singer-songwriter who got his start at a neighborhood coffeehouse in eastern Pennsylvania in the late 1970s, encountering legendary folk troubadours Eric Andersen, Tom Paxton, Claudia Schmidt and the like. Their brand of folk-inspired acoustic music inspired him to write and perform his own songs at NYC’s legendary Fast Folk circle (a breeding ground for many a major singer-songwriter), Kerrville Folk Festival (where he won the New Folk Award in 1984) and, eventually, in Boston, where his soulful baritone voice and original songwriting began turning heads. Those who had at one time inspired him – Suzanne Vega, Bill Morrissey, and Shawn Colvin among them – had become his peers. His first album, I Know, was released in 1987 to popular and critical acclaim. A number of formative records followed, and his albums and ceaseless worldwide touring brought new accolades and fans hungry for Gorka’s rich, multifaceted, quite beautiful songs. In 2010, he released an album with Red House label-mates Lucy Kaplansky and Eliza Gilkyson under the name Red Horse. Eliciting widespread praise, it landed on the Billboard Folk Charts and was one of the most played albums on folk radio. His 11th and latest studio album, So Dark You See, is his most compelling and traditional to date. Gorka has graced the stages of Austin City Limits, Mountain Stage, Etown, among others. When he is not playing festivals, theaters and clubs throughout America and Europe, Gorka spends his time with his wife and children in Minnesota.